Our lab analyzes plant samples from all non-quarantined counties in California for infection by Phytophthora ramorum (the causal agent of Sudden Oak Death). Samples from quarantined and regulated counties are processed by the California Department of Food and Agriculture. To submit samples you think may be infected by Phytophthora ramorum, please contact your County Agricultural Commissioner. 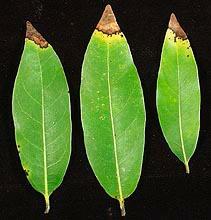 Look for symptomatic leaves of California Bay Laurel whenever possible. Pick 5-15 leaves with representative symptoms (see photo). 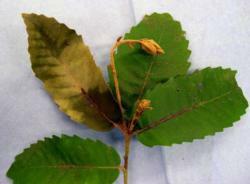 When sampling Tanoak, look for lesions on stems and twigs, or shoot die-back (see photo). Sample multiple trees if possible. Include a margin of healthy and diseased tissue. Avoid sampling completely dry or decomposed plant parts. Place fresh samples in a sealed plastic bag, and keep the samples cool prior to shipping.  Promptly send the sample (use expedited shipping) and submit a Pest and Damage Record through your County Agricultural Commissioner.